Windows 10 Migration | DSR, Inc.
DSR offers Smooth Migrations With Our Proven Migration Strategies & Experience. Migrating to Windows 10 does not have to be difficult, stressful and time-consuming - plus, you don't have to do it alone. DSR can help you with our vast experience and IT expertise with Microsoft technologies. Over time we have established our own migration strategies for minimal risk and downtime. DSR is your trusted partner to turn a Windows 10 migration into a strategic win for IT, end users, and the business. Our Migration Service starts with assessment. We will analyze your existing devices, data, applications, locations and user activities to form a migration strategy that doesn't hinder your company operations. The next phase is to plan and design the deployment methods, with transformation planning and 3D target matrix. We will migrate your infrastructure to Windows 10 OS, along with data migration and enrolling new devices to the network. Benefits of upgrading to Microsoft Windows 10 are as follows. Speed is probably the reason why you're upgrading to Windows 10. Windows 10 boasts a multitude of performance improvements to make your PC better. Windows 10 streamlines the overall startup experience by cutting down on bloatware and unnecessary bootup processes. The result is a refreshingly fast overall user experience. Windows 10 receives periodic updates on security and is built with comprehensive end-to-end security including antivirus, firewall, internet protections, and more. Secure Boot features require any program that runs as the operating system starts up needs to be permitted by both Microsoft and the hardware manufacturer. Along with Secure Boot, Windows 10 also adds key security features such as Device Guard, Microsoft Passport and Windows Hello. These are all delivered, at no additional cost. Windows 10 also brings significant improvements in functionality and usability. In regards to file management, Microsoft has added many improvements to File Explorer. The top menu is now arranged in a ribbon, so all the common tools are right where they’re easy to click. On top of these improvements to File Explorer, there’s also an improved file copying interface. Now copying/moving tasks are grouped into one window for easier management. Transfer speed is also shown in real time and operations can also be paused, where they could only previously be canceled. 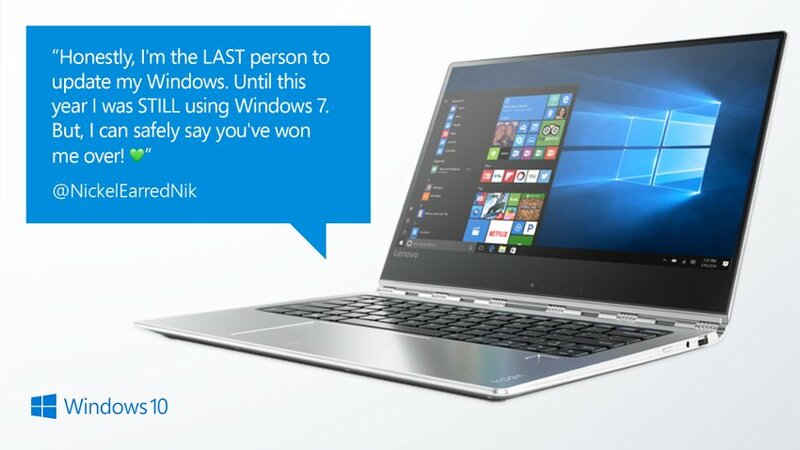 Any user on Windows 7 or Windows 8 will receive immediate benefits with a move to Windows 10. With increased safety, usability and speed, Windows 10 provides an excellent transition destination for Windows 7 and Windows 8 users. Microsoft ended mainstream support for Windows 7 on January 13, 2015, but extended support won’t end until January 14, 2020. Behind our success story lies the assurance of extensive support, guaranteed delivery, global outreach, and unparalleled value. Contact us today to learn more about how the DSR IT support team can help your organization. A team of network support experts who can save you time by troubleshooting network issues, performing repairs, and providing on-going maintenance.